Compost is the black gold of the gardening world, and if you’ve ever grown any sort of plant you already know that soil health is crucial to overall growth habits of your vegetation. 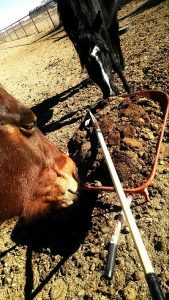 Beginning gardeners typically like to purchase nutrient rich soils from their local garden center, but once you are well into the swing of the cyclic growing season, creating your own compost for soil health really is a benifit you can’t afford to pass up. Composting is easy to do, and recycles all of the green and brown vegetative wastes created by your household- which in turn makes you feel awesome for contributing to a decreased environmental footprint. Not to mention all the money you save. If you haven’t yet jumped on the composting bandwagon, I’m giving you every reason to make the effort starting now using my ‘professional’ DIY instructions to create your own simple, hassle free compost bin out of pallets. Remember- this is professionally functional – aesthetics aren’t really too high on the list of things tucked into the corner of my yard, although I have some great ideas to spruce it up if you so wish! These things are literally everywhere once you start looking for them; stacked outside grocery stores, near your local gas station, and most likely in your neighbor’s yard due to the popularity of pallet projects. DON’T TAKE THEM WITHOUT ASKING! However, it is generally very easy to acquire what you need and free of charge simply through asking. 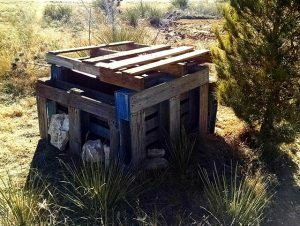 I have found that businesses that reuse their pallets and won’t let you take any know of a business that will help you load some up. And many times your neighbors will have more than what they need and are happy to share. You’ll want to split your pallets to create the bin as most pallets are too tall to be functional during use. I used 3 ½ inch screws to make sure I had a good grip on the pallet wood which can sometimes be very dense. Black Garden Cloth: to cover sides and top from weather if you prefer. 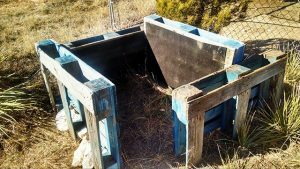 First off, I want to note that there are MANY different ways you can build your own DIY pallet compost bin, and it truly is up to you to create what functions best for your situation. The bin I am creating is a one bin design with a removable front in order to both add and access the materials ‘cooking’ away inside. Cut your pallets to your desired heights without sacrificing the integrity of their design. These walls serve more than just separating your compost from the outside world, but also need to be supportive in holding in the compost pile as it grows. In cutting pallets in half you may end up with two shorter ends like I did due to the heavy posts used in their construction. This is actually exactly what I wanted in order to allow air flow and accessibility in dumping smaller household items into my bin. 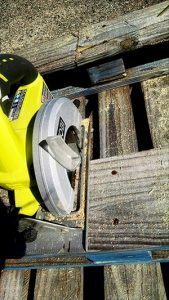 If you want a flush top, look for pallets that have a board that is easily removable from the middle, or that can be cut through. 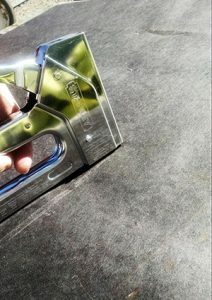 Either a scroll saw or cordless reciprocating sawwill make light work of this. 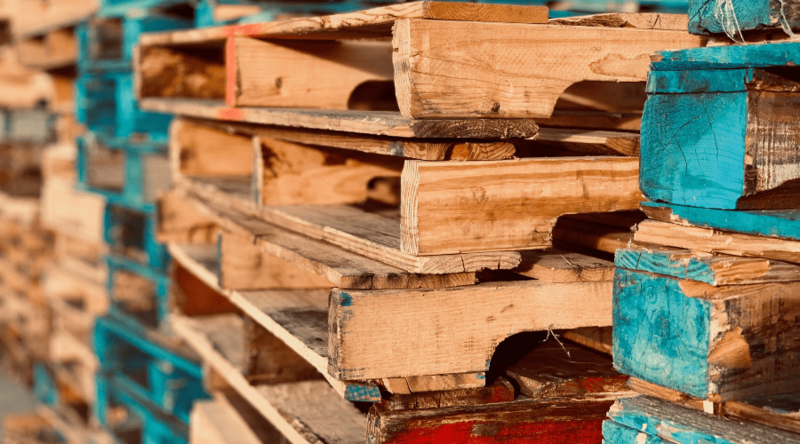 Keep in mind in your pallet search that the more gently used pallets, and durability of the design, will provide you with a sturdier and long lasting bin. I was lucky enough to score some heavy duty pallets used for supporting large amounts of weight and with a tight board pattern. Try to get matching pallets as well for consistency in height. I used a heavy, black garden fabric to cover the side of my pallets using a staple gun. I live in a very dry climate and although airflow is important, I want to hold in as much moisture as I can and allow the compost to heat well for an increased cooking time. Plus, by covering any gaps on the side you ensure that you don’t loose any of your compost materials through them or allow too easy of access for local critters. 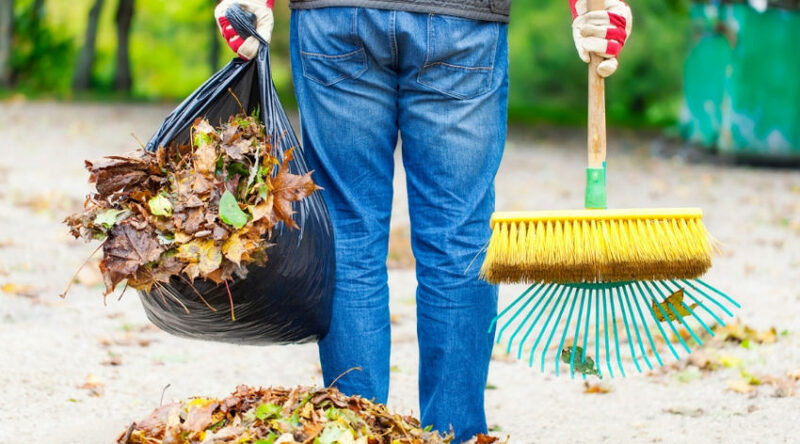 What to remember: You can still have a very effective bin without covering your sides, although the increased airflow will cool and dry your materials faster, so you may want to turn over the compost more often due to this and add water if necessary. Once you know where you want you compost exactly, set your sides up how you want them. Most pallets have cross supports that can get in the way of straight drill holes. I overlapped my pallets and then drilled three holes at a slight angle to compensate for this because removing them wasn’t a chore I felt like undertaking (however feel free to. Hint: use a crowbar). Be sure to drill your holes before screwing the pallets together as the wood used in pallets is treated and are very dense, so it can be difficult to place a screw accurately without first giving it guidance. I left the front of my bin open for accessibility using my fourth removable side. Because I have livestock I have great materials through bedding and animals wastes to add and would rather use a wheelbarrow for dumping to shoveling it into the bin. I also am thinking about how I will remove finished compost and would prefect to shovel from ground level rather than having to dig in from the top. You can leave the forth side completely open as well without the forth side, or use hinges to secure the fourth side for critter protection. Mine slide into place securely, but I added some of the rocks I had lying around the yard for extra stability. This is a moveable bin, so if you are unhappy with the placement you can always put it someplace else in the future! I added in a wheelbarrow full of alfalfa chaff and horse manure each (of which my horses were happy to help me out with), a 5 gallon bucket of used pine shavings from my chicken coop (complete with poop), some local soils, and a bucket full of household discards that included banana peels (remove the sticker! ), coffee grounds, potato shavings, and paper products. If you don’t have a lot of starter product you can purchase a compost starter from a garden center to add in the good things to your soils and kitchen waste to start the decomposition process. 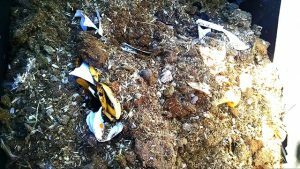 Moisture is an essential part of the decompositionoccurring within your bin. Dried materials will break down eventually, but at a much slower rate. 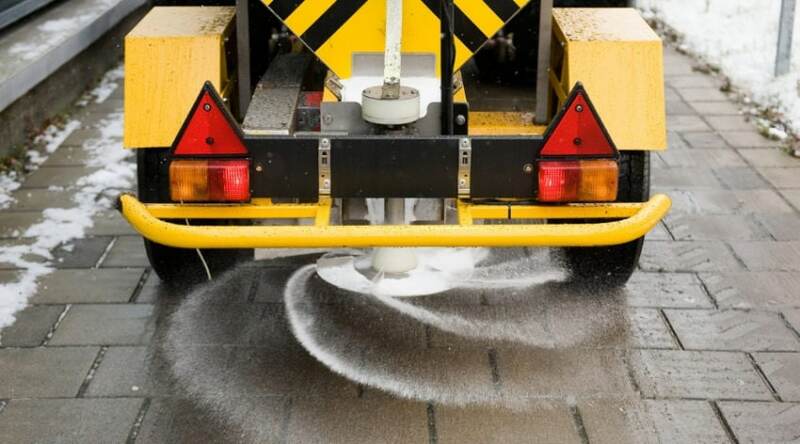 You don’t want your materials to be wet, but you do want to dampen the mix. I mixed in a 5 gallon bucket of water to my initial compost and mixed it all up with a pitchfork- because it’s much easier to turn with a pitchfork than a shovel. If you live in an area where you receive a lot of rain, consider placing a top over your bin to keep your compost from getting too wet, which will inhibit the oxygen needed to break down the solids. If you have decided on the fourth side, close it up once your compost starter is well mixed. If you have decided on a top, add that as well. I decided to place a top on mine made out of an old pallet I had laying around that I covered with garden cloth. I don’t want the intense sun here drying it out my pile too quickly, and neither do I want the heavy rains we can receive to drown it out. Aeration is important to the process, hence why I was happy with having two sides open for airflow, plus it allows me to dump in small discards without having to remove the top. See more compost bin ideas. Although optional, tops can help keep your compost cooking for a quicker product, and also protects your mix from the elements and any animals that may be passing by and be enticed by discarded food. Just make sure that there is some good air flow still. Everybody’s compost will cook different than others due to the materials being added, so it’s a good idea to check on it a few times a week through the first few weeks to check moisture (remember, you want it damp), and to turn it over. 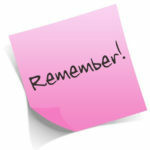 Once you have a feel for how well things are breaking down you can come up with your own schedule. 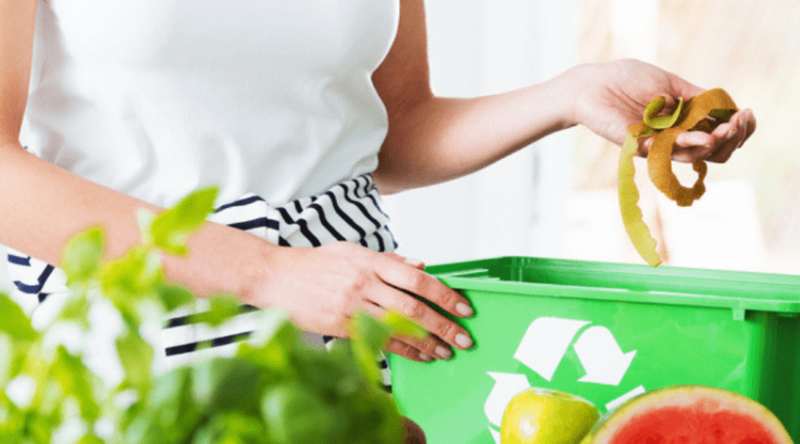 Larger wastes break down much more slowly than smaller wastes, so if you want to help your compost along, consider shredding up your paper products, and chopping down wastes even further before adding into the bin. Pile up rocks around the bin (This is probably what I’m going to do as I have a plethora of rocks already there from propping up the sides, as seen in my pictures). This project literally cost me nothing and took under two hours to complete. 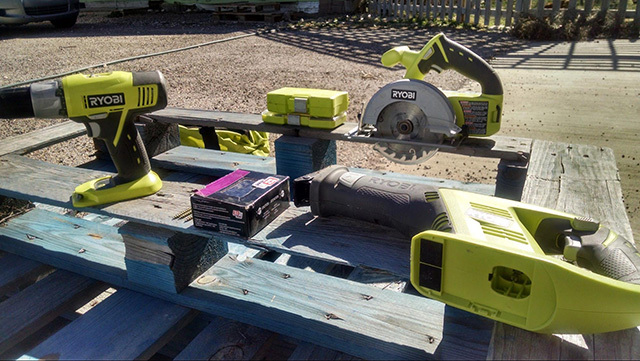 If you don’t have all the supplies, they are minimally priced to purchase, and I would hazard a guess that somebody has the power tools you can borrow as well. Hopefully you can now no longer put off compost bin creation after seeing how easy it is! 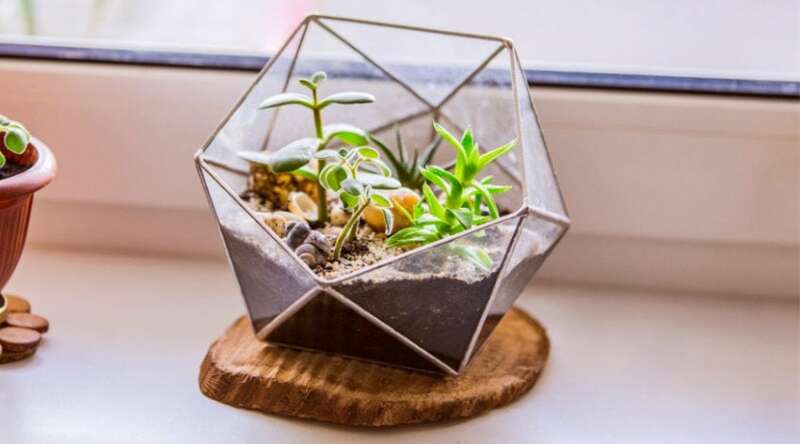 No more procrastinating allowed, and your plants will love you for it! 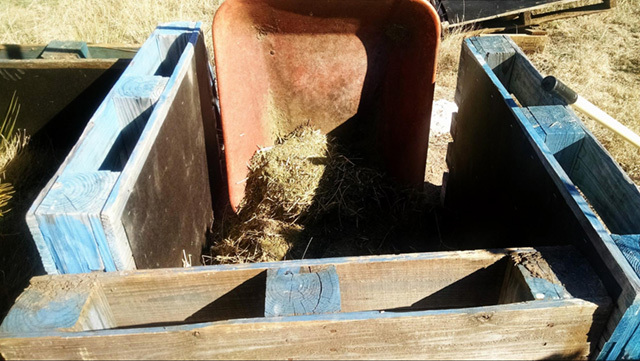 All you really need is a weekend afternoon and basic supplies to create a bin such as the one I have put together to start your adventure into to the composting world. Feel free to add your own touches, or even make a multiple bin system for quick turnover using this technique. Questions? Comments? Or a pressing need to share your composting ideas? We would love to hear them below! Not interested in building your own? 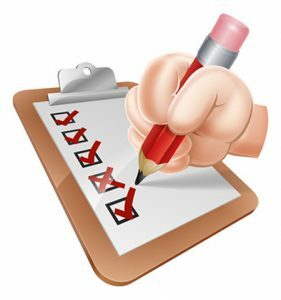 : Check out these composter reviews.